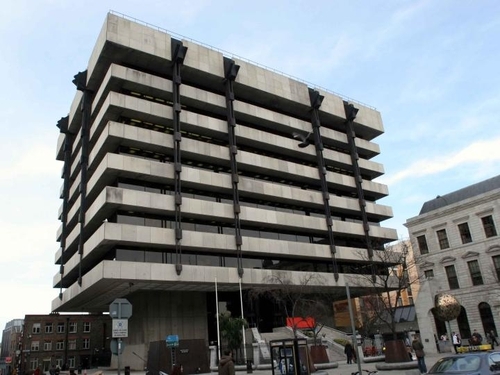 The Central Bank has confirmed that it is the organisation that paid for 52 spouses of staff to go on foreign trips over a two-year period. In a statement this evening, the Central Bank said the spouses attended 49 individual meetings and not one as was previously reported by the Comptroller and Auditor General. However, the Central Bank would not disclose who went on the trips or how much they cost. It was revealed in the C&AG's recent report that 18 State organisations had paid for flights for people other than staff members. In particular, it drew attention to the fact 52 spouses of an unnamed State agency went on one trip, which was paid for by that agency. After RTÉ News contacted most of the agencies on the list, the Central Bank this evening confirmed it was the organisation involved. It said that there were 62 non-staff trips over a two-year period from 2007-2008 and 52 of those related to spouses on 49 trips. The Central Bank added that overall the number of flights paid for by it in the period was almost half the average number taken by the other agencies surveyed.